HVAC System: Does Adjusting Your Thermostat Regularly Pay Off? You’ve always heard that you should adjust your thermostat when you leave the house and you’ve tried, but it always feels like a hassle. You try to remember to turn it down everyday when you leave for work and turn it back up when you get home, and then back down when you go to bed. But you find yourself forgetting and never feel the right temperature. Is it really worth all the trouble? The answer is yes and no. 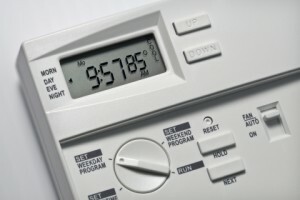 While adjusting the temperature on your HVAC system regularly to best match your schedule will save you energy and therefore money, it truly is a lot of hassle with a non-programmable thermostat. Upgrading your thermostat is one of the easiest changes you can make to your HVAC system in order to increase the energy efficiency of your home. The HVAC professionals at All Air Heating & Cooling Services can easily install a new, easy to-use programmable thermostat for an affordable price. This will save you time and provide a substantial return on investment. During the summer, you will want to set the air conditioning so that your home isn’t as cool when you are away at work. You can then program the air conditioning to kick back on thirty minutes prior to your average return time. During the winter you can do something quite similar with your heat. Just a couple of degrees makes a significant difference. If you have pets, don’t worry. The Alliance to Save Energy suggests, “Pet owners set the thermostat to 78 degrees in the summer and 68 degrees in the winter.” But it is always good to check with your vet especially if your pet has any conditions that can be aggravated by temperature changes.